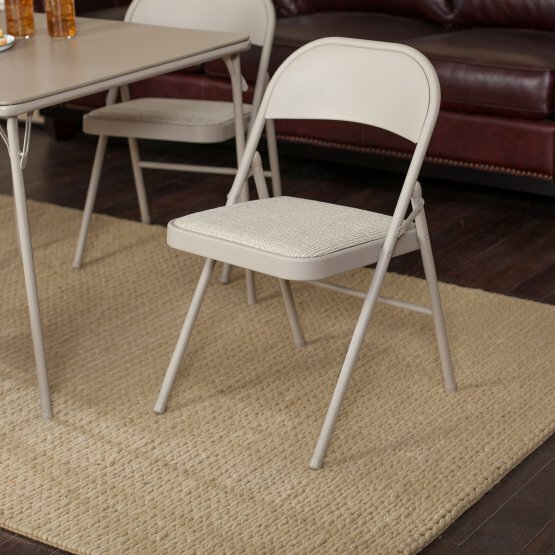 The Meco Deluxe Single Padded Seat and Back 5-Piece Card Table Set – Buff Lace is perfect for poker night, dinner parties, and more. 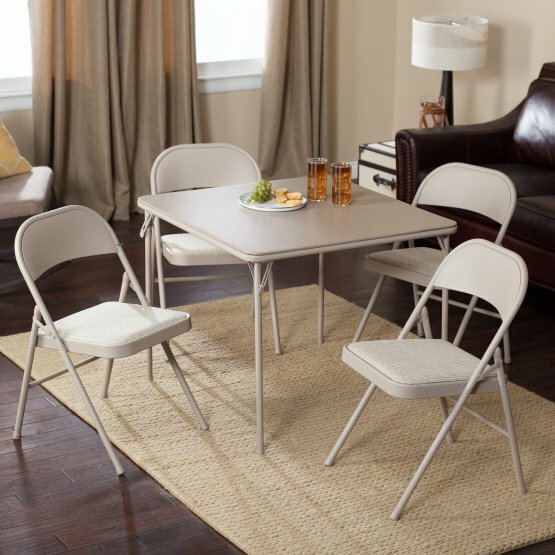 When you need extra seating and table space, this set unfolds from its compact storage size to provide not just a seating solution, but a comfortable one. 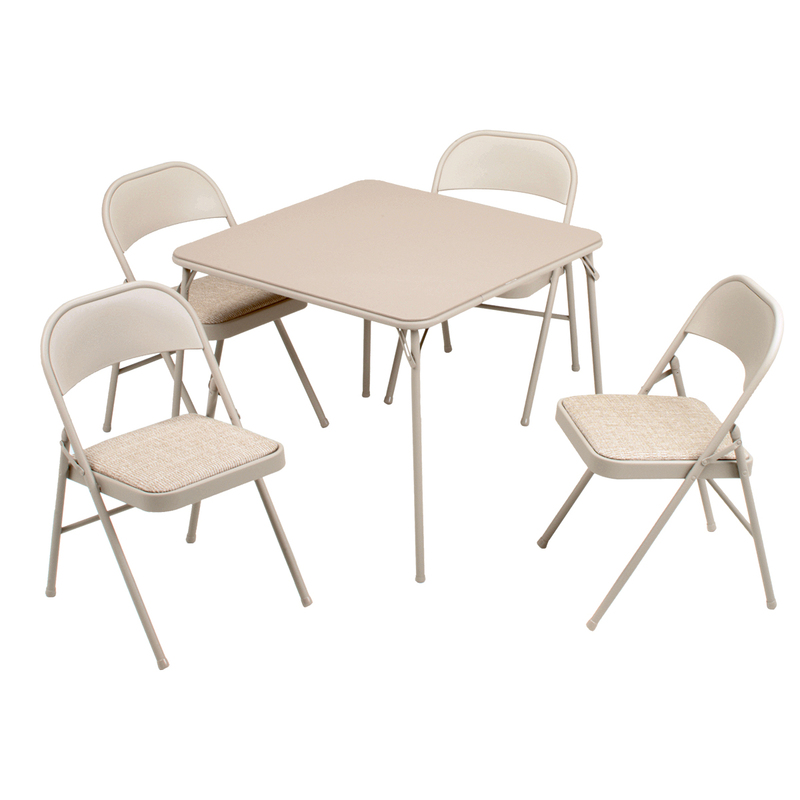 This set includes a vinyl-topped folding card table and four matching folding chairs with padded seats. 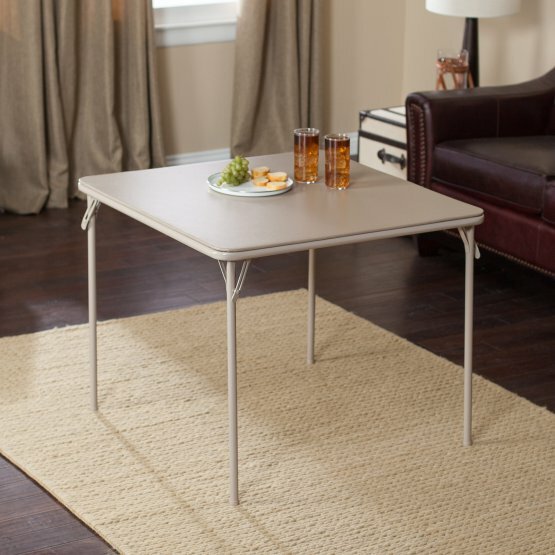 Non-marring leg caps will protect your floors, while a powder-paint finish will keep this set in tip-top shape for years to come. 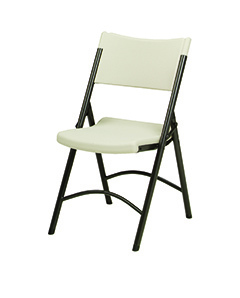 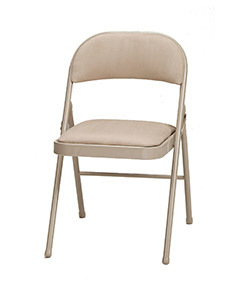 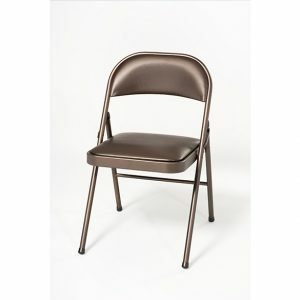 Chair Dimensions: 16L x 16W x 28H in.